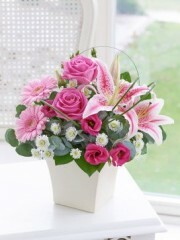 Flowers often have symbolic importance and lilies are one of the flower types which have the strongest meanings. 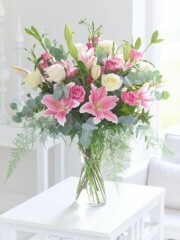 Dundee Flowers have many types of lilies as they are one of the nations favourite flowers. 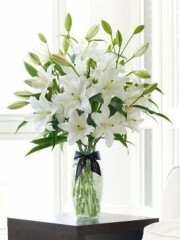 The lily is a beautiful blooming flower, and Dundee flowers deliver them while they are so fresh that often they haven’t opened and may take a few days after delivery to open to their full potential. 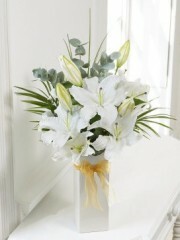 It is important to consider that lilies may not always be a suitable option, especially if the person who is receiving the flowers is also a cat owners as cats are allergic the the pollen of the lily, so Dundee flowers trained florist would advise that a bouquet of flowers that don’t contain lilies would be more suitable and you might like to try another of our popular flower types such as a rose hand tied bouquet or one of our many mixed flower bouquets. 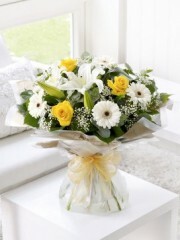 Lilly pollen can stain fabric so Dundee flowers recommend taking extra care when handling to avoid and attains on clothes or furniture. 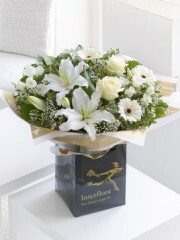 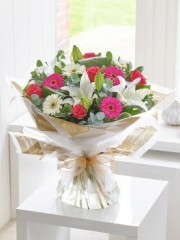 Dundee flowers can deliver your lilies or flowers otherwise to anywhere in the Dundee area. 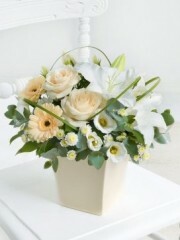 Our florist will ensure your flowers are beautifully presented and looked after.